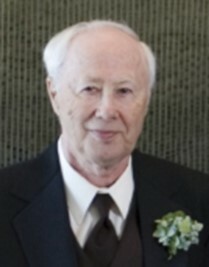 Sheldon Raymond Mayclin, of Walker, Minnesota passed away peacefully the morning of January 30th, 2019. He was born the son of Raymond and Oral (Greenwald) Mayclin on February 25, 1937 in Ogilvie, MN. Shelly’s adult life was dedicated to raising his family and to his career teaching math and coaching basketball for over three decades. He loved the outdoors from a young age until late in life. It was always a good day to be out hunting or fishing. Shelly and Loretta travelled around the country following their grandkid’s activities and to spend winters in warmer weather. Later in life, he loved to talk with and about the many teams and players he had coached throughout the years. The last few years he was thankful to be able to attend the family events and to see the newest additions to his family. Sheldon will be missed by family and friends. He is survived by his wife of 61 years, Loretta Mayclin and their four children Tim Mayclin (Lora), Roxanne Olson (Mark), Robin Blundell (Ryan) and Tyler Mayclin (Tracy) as well as eight grandchildren Stephanie, Nicole, Courtney, Danica, Jared, Brittany, Sam and Zoe and seven great-grandchildren Christian, Madison, Nickolas, Levi, Treyson, Bryce and Brayden, sister; Sharon Amos (Wayne), brother; Terry Mayclin (Nancy), and niece and nephews. Shelly was preceded is death by his parents Raymond Richard and Oral Nina Mayclin. A special thank you to the caring staff of Edgewood May Creek for being a daily part of Shelly’s life the last three years and to CHI St. Joseph’s Hospice team for the caring support they provided Shelly in his final few months. A celebration of Sheldon’s life will be held at 11:00 a.m., Saturday, April 13th 2019 with a lunch to follow at the United Church of Christ in Walker, MN. In lieu of flowers, donations could be made to the Hope Heart Institute, 4455 148th Ave NE, Bellevue, WA 98007 or the Minnesota Parkinson’s Foundation, 8085 Wayzata Blvd, Ste 100, Golden Valley, MN 55426. Sheldon’s care has been entrusted to Northern Peace Funeral Home of Walker. Online condolences for the family may be left at www.northernpeace.com.